Why would I need a scuba refresh? Everybody has experienced it. You are on a diving excursion and one of your fellow divers is not at the level expected. It typically starts with the preparation of the dive kit. It takes ages to get prepared, requires the full attention of the dive centre staff and the person is obviously very nervous. Once ready, limited attention is given to the dive briefing. You now upfront this is going to be a hard one. Having a good up to date knowledge and practice, handling of dive gear and understanding of diving procedures is key to fully enjoy your dives. Nevertheless we see divers in our centre regularly that are lacking at least one of these as they have not been diving for a while, regardless of the reasons, or do not feel confident. Besides the fact these divers increase the risks when taking them diving, they typically spoil the dives of the regular divers. The same quite often applies for active divers that decided recently to make major changes to their dive equipment. Not sure how to use the new equipment or lacking practice with it, they easily shift the focus to the new kit as opposed to the diving while being under water. When you recognize yourself in any of the above statement, it might be wise to talk to the dive centre and agree on a refresher course. Over time unused scuba knowledge fades. 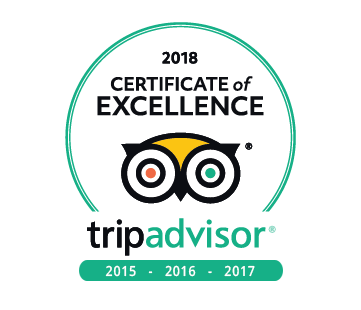 We as dive centre expect certified divers to safely plan and execute dives in accordance with their qualification. Planning a dive, controlling your bottom time, master your buoyancy and performing a correct safety stop are key to any dive. Understanding in-water safety procedures such as correct buddy procedures and what to do in case of diver separation are mandatory to conduct dives in a safe and controlled manner. During a refresher course we will go through all the steps of a dive and help to bring you back up to speed on all these aspects. Most dive centres require certified divers to assemble and disassemble their own dive gear, check and adjust your weights and make sure all is functioning correctly. A lot of attention on getting your dive equipment sorted out is given during the refresher session in order for you to fully master it. Any dive professional is ready to help you rehears the required scuba skills. Believe us, quite often small, forgotten things can cause major issues during a dive, ruining the dive for everybody. Sometimes they can even cause dangerous situations. Doing a refresher course allows you to rehears all the required skills thus reducing the risks of major issues afterwards. After the skill rehearsal you will start thinking as a diver again! For the diver having changed his dive gear, these sessions allow you to build confidence in the use of your newly acquired gear while practicing with your instructor. He will be happy to help you out with any issue and even demonstrate how to use the equipment correctly. Scuba diving is not risk free and if something goes wrong, there is a risk attached. It’s critical for the safety of you and your dive buddy to know what to do if you find yourself in a low-on-air emergency situation. Strangely though, certified divers rarely practice these skills. Running through the skills under the supervision of an instructor allows you to practice them in a safe, risk-free environment so that they become more instinctive in the unlikely event something does go wrong. As a certified diver you understand that being stressed for a dive is not the best option. When not having been diving for a while or you made some major changes in your dive gear, you will get nervous as you get closer to hitting the water. The higher your heart-rate gets, the more the stress will build up. This will have a negative impact not only on your air consumption, but might cause you not to react correctly on events during the dive. Practicing in a confined and controlled environment under the direct guidance of a pro will give you the confidence required and reduce the pre-dive stress. You will be able to fully enjoy the dive and reduce the risks for you and your fellow divers. Quite often the pros assisting you during the refresher course are also the divers that will guide the dives. Getting to know each other and building report during the refresher course will help for the real dives. In addition these pros have tons of dives and know the environment you will be diving in by heart. Enjoy the refresher course to gather valuable information and get fully prepared to discover the underwater world at 100%. All divers learn during their basic diving course, regardless from the agency, that a refresher is required when you did not dive for somewhere between 6 to 12 months. Experience teaches us that the person asking for a refresher course is often the least needing it. Quite some divers over estimate themselves and are confident a refresher course or even just a refresher dive is not required. Once they come into the centre and are requested to start preparing their gear we know how late it is. Please think twice before joining a dive and be critical on yourself, it will increase the safety for yourself, your fellow divers and your guides. 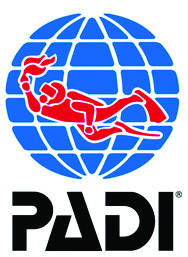 Regardless of the recommendations of the dive associations, each diver should make a critical evaluation of his ability to manage a dive end-to-end. Some divers may need some assistance to safely re-enter the water way sooner as others. The recommendations are just a rule of thumb but each should in the first place do an honest self-assessment. Believe us, as dive professionals we will not judge anybody requesting assistance to re-enter, just the opposite. At the end it is all about making sure dives are fun and enjoyable and can be conducted in the safest way possible.